In ancient Greek mythology, a Labyrinth was used to hold a Minotaur. It was a complex structure less concerned with design and more with functionality. The centrepiece at yesterday’s Dior Homme – a large-scale mirrored maze – explored similar ideas concerning functionality, but for Kris Van Assche it was also an object of beauty. As the models walked in and out of the structure, their reflection was repeated, distorted and projected out towards the audience. It created this sort of rhythm, or a pace and one that worked in sync with a soundtrack by the Pet Shop Boys. The collection itself explored similar ideas concerning structure and geometry. Silhouettes were sharp, box-like and industrial. 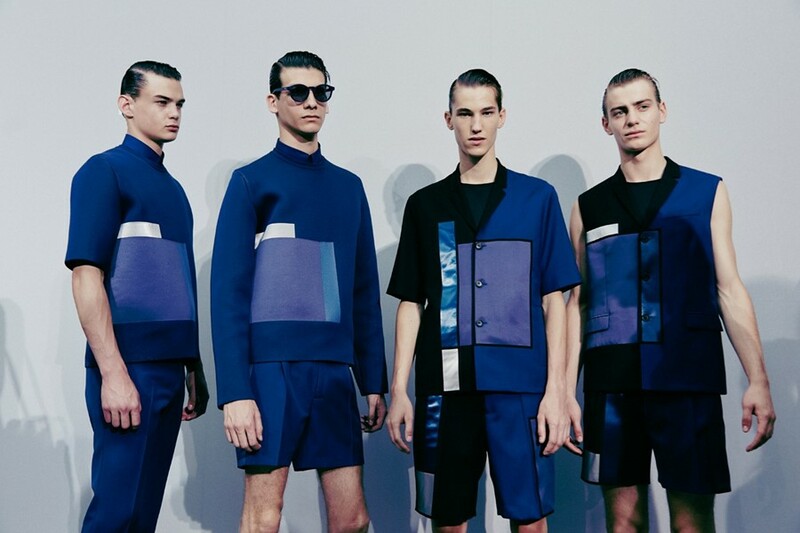 Van Assche created a series of patchwork garments, which were covered with graphic patterns reminiscent of Mondrian paintings. Leather featured heavily this season, at first on jackets before transcending into shorts and shirts, whilst metallic details appeared on the side of shoes.